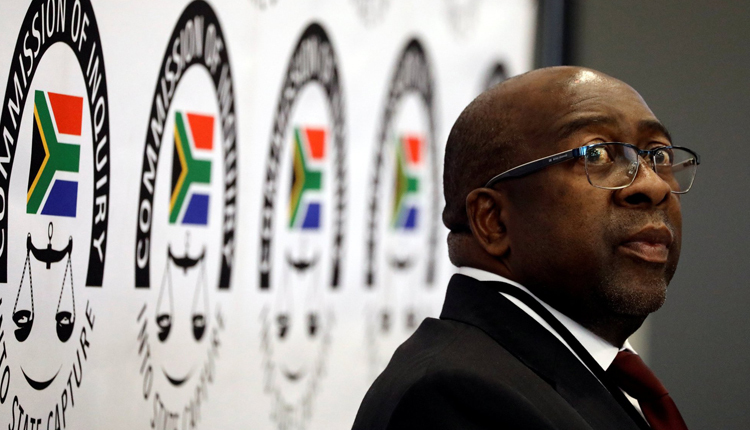 South Africa’s Finance Minister Nhlanhla Nene has asked President Cyril Ramaphosa to remove him after he admitted to visiting the home of the Gupta brothers, friends of scandal-plagued former leader Jacob Zuma, Business Day newspaper reported on Monday, sending the rand lower. Business Day cited unidentified government sources as saying that Nene made the request to Ramaphosa at the weekend. Nene did not answer calls for comment. The rand fell more than one percent on the report. Treasury spokesman Jabulani Sikhakhane referred Reuters to the presidency for comment. Ramaphosa’s spokeswoman Khusela Diko did not respond to phone calls. Nene is a key ally of Ramaphosa, who reappointed him finance minister in a cabinet reshuffle shortly after he became president earlier this year. Ramaphosa has made clean governance and the kick-starting of an economy mired in recession top priorities. Several ministers and government officials have been implicated in the widening graft scandals around the Guptas. One common theme that has emerged is visits to the family’s sprawling Johannesburg property, which is why there has been public anger regarding Nene’s revelations. But Nene’s opponents say he was involved in corrupt deals with the Guptas when he was deputy finance minister and head of the state pension fund. He denies ever helping the Guptas.